PLEASE READ! http://charlottefencingcompany.com REQUIRES CONSIDERATION FOR AND AS A CONDITION OF ALLOWING YOUR USE OF http://charlottefencingcompany.com. http://charlottefencingcompany.com SPECIFICALLY DENIES ACCESS TO ANY INDIVIDUAL THAT IS COVERED BY THE CHILDREN’S ONLINE PRIVACY PROTECTION ACT (COPPA) OF 1998. Unless you have entered into an express written contract with this website to the contrary, visitors, viewers, subscribers, members, affiliates, or customers have no right to use this information in a commercial or public setting; they have no right to broadcast it, copy it, save it, print it, sell it, or publish any portions of the content of this website. By accessing the contents of this website, you agree to this condition of access and you acknowledge that any unauthorized use is unlawful and may subject you to civil or criminal penalties. Again, Visitor has no rights whatsoever to use the content of, or portions thereof, including its databases, invisible pages, linked pages, underlying code, or other intellectual property the site may contain, for any reason or for any use whatsoever. 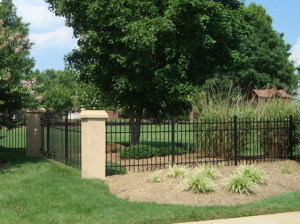 In recognition of the fact that it may be difficult to quantify the exact damages arising from infringement of this provision, Visitor agrees to compensate the owners of http://charlottefencingcompany.com with liquidated damages in the amount of U.S. $100,000, or, if it can be calculated, the actual costs and actual damages for breach of this provision, whichever is greater. Visitor warrants that he or she understands that accepting this provision is a condition of accessing http://charlottefencingcompany.com and that accessing http://charlottefencingcompany.com constitutes acceptance. Unless expressly authorized by website, no one may hyperlink this site, or portions thereof, (including, but not limited to, logotypes, trademarks, branding or copyrighted material) to theirs for any reason. Furthermore, you are not permitted to reference the URL (website address) of this website or any page of this website in any commercial or non-commercial media without express permission from us, nor are you allowed to ‘frame’ the site. You specifically agree to cooperate with the Website to remove or de-activate any such activities, and be liable for all damages arising from violating this provision. 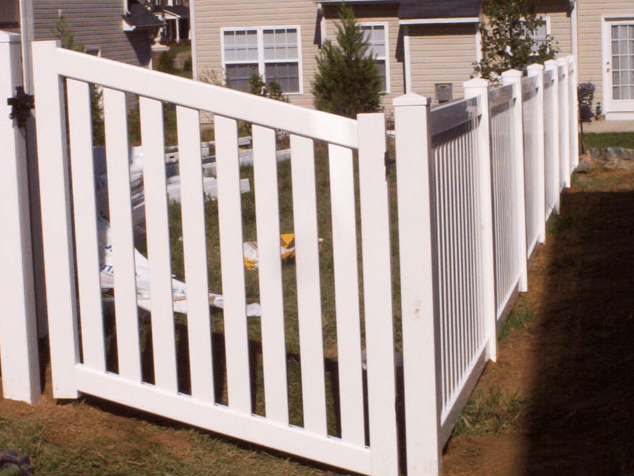 In recognition of the fact that it may be difficult to quantify the exact damages arising from infringement of this provision, you agree to compensate the owners of http://charlottefencingcompany.com with liquidated damages in the amount of U.S. $100,000, or, if it can be calculated, the actual costs and actual damages for breach of this provision, whichever is greater. 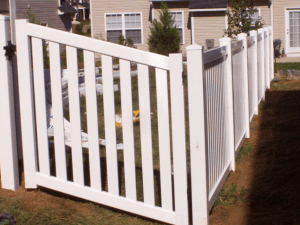 You warrant that you understand that accepting this provision is a condition of accessing http://charlottefencingcompany.com and that accessing http://charlottefencingcompany.com constitutes acceptance. http://charlottefencingcompany.com disclaims any responsibility for the accuracy of the content appearing at, linked to on, or mentioned on http://charlottefencingcompany.com. Visitors assume all risk relating to viewing, reading, using, or relying upon this information. Unless you have otherwise formed an express contract to the contrary with us, you have no right to rely on any information contained herein as accurate. We make no such warranty. Visitor agrees that in the event he causes damage to us or a third party as a result of or relating to the use of http://charlottefencingcompany.com, Visitor will indemnify us for, and, if applicable, defend us against, any claims for damages. Arbitration shall be conducted pursuant to the rules of the American Arbitration Association which are in effect on the date a dispute is submitted to the American Arbitration Association. Information about the American Arbitration Association, its rules, and its forms are available from the American Arbitration Association, 335 Madison Avenue, Floor 10, New York, New York, 10017-4605. Hearing will take place in the city or county of the owner of http://charlottefencingcompany.com. If any matter concerning this purchase shall be brought before a court of law, pre- or post-arbitration, Viewer, visitor, member, subscriber or customer agrees to that the sole and proper jurisdiction to be the state and city declared in the contact information of the web owner unless otherwise here specified. In the event that litigation is in a federal court, the proper court shall be the closest federal court to the owner of http://charlottefencingcompany.com’s address. Viewer, visitor, member, subscriber or customer agrees that the applicable law to be applied shall, in all cases, be that of the state of the owner of http://charlottefencingcompany.com. Contact Email: support@charlottefencingcompany.com,All Rights Reserved.